In the spring, Dr. John Piper gave a guest lecture at Westminster Theological Seminary in Philadelphia titled, The New Calvinism and the New Community. A man at our church is taking some classes at WTS, and he invited me to attend the lecture with him. I didn’t have to think about whether I would make time to attend or not; I mean, I have an entire row of books on a book shelf written by Piper. I am part of the New Calvinism and feel a sense of fatherly responsibility to continually speak into it dimensions of biblical truth that I think it needs to hear. During the Q&A that followed, student after student expressed their appreciation to Dr. Piper for his ministry. But I didn’t need others to tell me that Dr. Piper has had a fatherly influence. I already knew that it was certainly true for me. However, John Piper never went to my Little League games. And he never gave me a piggyback ride or tucked me in at night or tromped through the Georgia woods with me looking for Civil War-era ruins. Those things, John Piper did with his own children. Those things he did with his own son, Barnabas Piper. You will ask, “Was it painful for me to read this book?” The answer is yes. For at least three reasons. First, it exposes sins and weaknesses and imperfections in me. Second, it is not always clear which of its criticisms attach to me and the church I love. Third, this is my son, and he is writing out of his own sorrows. And this book was difficult for me to read as well, but for different reasons. First, a part of me, a sinful part of me, wanted the book to give me the inside scoop on my hero—the backstage pass to all the gossip, you know, reporting TMZ style. And that’s not what this book is. Occasionally, a few table scraps fall from the actual Piper kitchen table, but that’s about all. And I'm actually thankful; the book and I are better for it. Second, I am a pastor now, but I am not as aware as I should be of the unique challenges to being in a pastor’s family. And I said “the unique challenges of being in a pastor’s family” and not just a “pastor’s kid,” because when my wife read the book, she thought it could be titled “The Pastor’s Wife” for all of the overlap. Regardless, in the introduction, Barnabas writes of some pastors that need “a bucket of ice water in [their] sleeping face” (17). Perhaps I have been more asleep than I knew, or at least more drowsy. But even though it wasn’t easy to read (when is ice water in the face easy? ), and even though I might have (sinfully) hoped for a different book, let me share three ways Barnabas’ book helped me. But those were general ‘helps’ to me and my parenting. Here’s a specific one. The book raised my awareness of the potential collateral damage when family members make cameo appearances in sermon illustrations. I was already cautious of this, but Barnabas gave a few examples from his own life—a few difficult examples—that crystalized my awareness. In fact, just last week, as I prepared my sermon, I thought of bringing my family into it. And I did, but first I ran it through a triple-reverse-osmosis filter so as to make it a generic illustration (“I heard one time of a…” or “Perhaps you could envision a time when…” sort of thing). Yes, this time the illustration lost some of its personal feel, but the result was fine; and more than that, my daughter kept her witness protection status intact. The unique challenges PKs face tend to stack upon each other, creating a cumulative effect. And so the book focuses on them, but parenting PKs is not sui generius (that is, not fully in a ‘class of its own’). Every parent can benefit from the sturdy counsel. Thank you, Barnabas. I do not think these expectations have haunted me in the settings that I have pastored. And to some degree, I hope hyperbole is involved in the description. 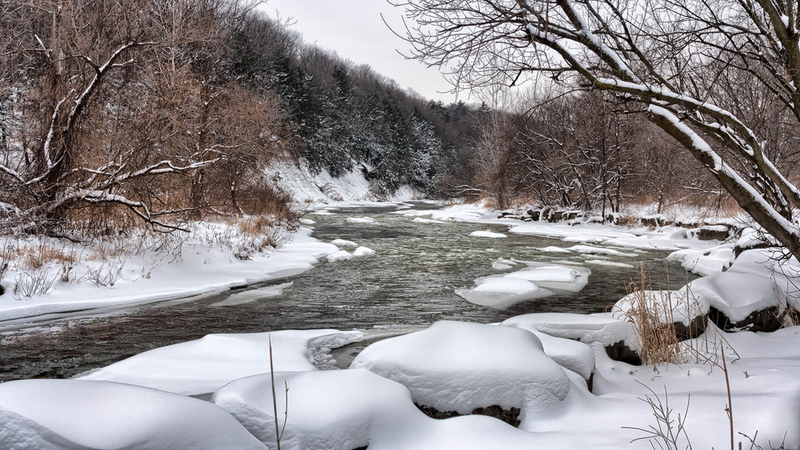 But I can say this: even when the external pressures were not there (at least to such an extensive degree), the internal pressure that I apply to myself is often there. So, too often, I do feel this pressure. And under it, I wilt, because we pastors were never meant to be everything to everyone all of the time. Yes, Paul wrote that he was “all things to all men” (1 Corinthians 9:19-27), but I think he means this in terms of his passion to reach people for Jesus (over and against lazy indifference); and he means this in terms of lowering himself to relate to people for the sake of Christ (“to the weak, I became weak”). I do not think Paul intended for us (pastors and all believers) to strive for omni-competence, and embody every spiritual gift at once. That’s the job of the whole body working together in total reliance on the omni-competent God (cf., Ephesians 4:16, “when each part is working properly [in reliance on Christ, it] makes the body grow…”). So thank you, Barnabas, for freeing me. Was I aware that PKs are often wounded—wounded by their fathers’ and wounded by their churches’? I would have said ‘yes’ to this, but The Pastor’s Kid showed me the gravity of it all. I’ll give you a few places where the wounded-ness seeps through Barnabas’ words. This sounds like a young man who is still healing. For anyone familiar with John Piper’s ministry, especially his preaching, it’s hard to read this without seeing its pointedness towards his father, even if there is wider application to pastors generally. A hallmark of John Piper’s preaching is seriousness (cf., comments on “gravity and gladness” in books like The Supremacy of God in Preaching). And I, for one, have actually appreciated the seriousness. But maybe I wrongly assumed there was a ‘switch’ that flips, and John Piper is, shall we say, ‘more normal’ when he is not preaching. I don’t know. But Barnabas does. There are other words than “utterances” that could have been used. Maybe I shouldn’t be surprised by the potential for wounded-ness. Even without the PK dynamic in place, there is behind this dynamic for all children the supercharged father/child dynamic—for Barnabas and John, and for all of us. And this relationship will always either nurture or wound, or probably more likely, always some of both. I can relate when Barnabas said: “To this day, I still yearn to have a shared hobby with my father, something as simple as golf or hiking” (111). Barnabas, I know what you mean; me too. Anyway, that’s probably enough on this. But I don’t dwell on the potential for wounded-ness without purpose. For me, as with other aspects in the book, the wounded-ness raised my awareness; it adjusted the DEFCON level, and that’s good: preparedness should correspond to potential danger. In the end, The Pastor’s Kid reminded me that as parents, we play for keeps. The wounds, and joys, and pains, and pleasures of parenting are written on our children with a Sharpie. 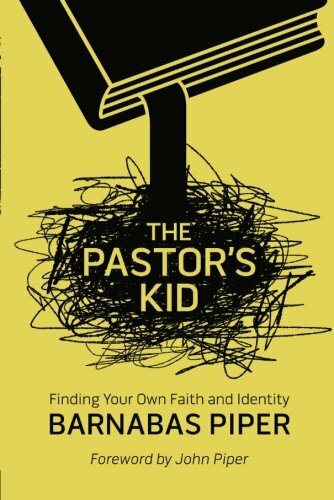 So, yes, The Pastor’s Kid explores the challenges of being a pastor and a PK, and thus it is a book for pastors and their children. But the book is for more than this demographic. The book offers countermeasures to all parents, children, and congregations—in other words, to all Christians. Thank you, Barnabas, for sharing your story.